The Richard III Society is an international group with an interest in medieval history with particular emphasis on the life and times of Richard III, the last Plantagenet King of England. Founded in 1924 in the belief that many features of the character and career of Richard III are neither supported by sufficient evidence nor reasonable tenable. The Society aims to promote in every possible way research into the life and times of Richard III. Thanks to the work of the Society over the years, the character of Richard, for so long defamed by Tudor historians and not helped by Shakespeare’s famous work, has undergone a transformation and it is now generally accepted that he was by no means the villain portrayed and recognized as being better than most and certainly no worse than his contemporaries. The NZ Branch was formed in 1986 and has been based in Lower Hutt meeting every two months since that time. We have now moved to a new venue, the “Sanctuary” part of the Spiritualist Church in Petone. An informal discussion group also meets on the Kapiti coast in alternate months. We have a number of members proficient in genealogy and many whose knowledge of the period is extensive. We enjoy healthy debate in a friendly environment and prospective new members are welcome. 2015 was a big year for the Society. 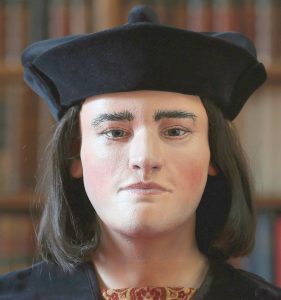 Following intensive research by Ricardians, Philippa Langley and John Ashdown-Hill, Richard’s remains were discovered beneath a car park in Leicester in 2012. 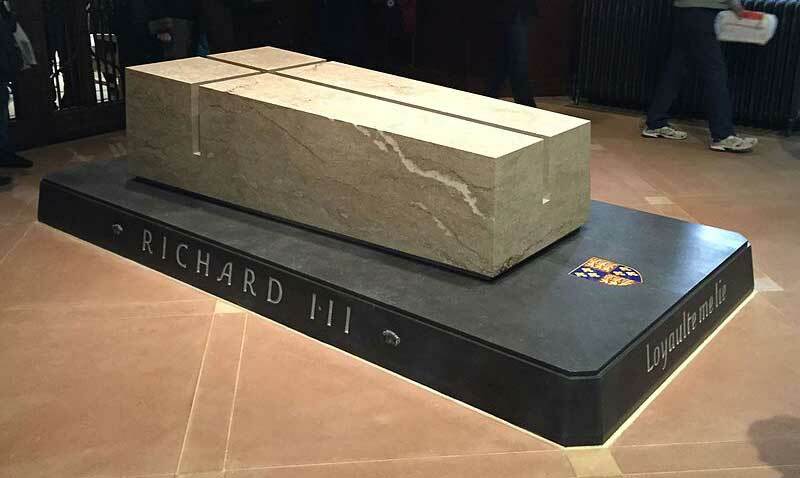 Richard was re-interred in Leicester Cathedral on March 26th,2015. Ricardians from all over the world flocked to Leicester to take part in a week long series of events to commemorate the re-interment. 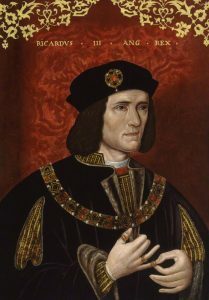 Richard III was King of England from 1483 to 1485. Thanks mainly to Shakespeare, King Richard is known in popular imagination as the archetypal wicked uncle who murdered his way to the throne. Interested in finding out more? Click here.